When he was 10 years old, Jake Schaefer starred as the Munchkin Mayor in a Spokane Civic Theatre production of “The Wizard of Oz” directed by Kathy Doyle-Lipe. A summer or two before that, he participated in a camp directed and produced by Jean Hardie, a staple of local theater. After several years away, Schaefer can hardly contain his excitement about returning to the place where he began his creative life, this time as creative consultant. In “Songs for a New World,” the audience meets a handful of characters – the captain of a ship, a woman making a drastic move to get the attention of her neglectful husband, an expectant mother, a man in love, a teenager who dreams about becoming a basketball star, reunited lovers, a soldier – who all have one thing in common: One moment could, or has, change their lives forever. 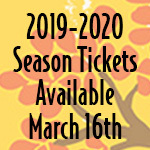 An atypical musical, “Songs for a New World” trades a plot peppered with songs for a collection of songs, one right after the other, that tell a series of stories with a connecting theme. The musical opens Friday and runs through March 4. 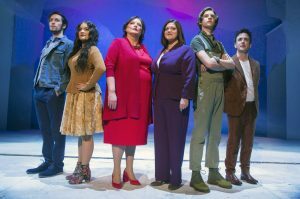 “Songs for a New World” stars Marlee Andrews, Christina Coty, Melody Deatherage, Jameson Elton, Jace Fogleman and Jonah Taylor, and each actor portrays multiple characters. Schaefer said this musical is sometimes performed with actors wearing all black so audiences can more easily tell, with the addition of a scarf or a hat, when the actor transitions from one character to another. But Schaefer made the artistic choice to go in the opposite direction, dressing each actor in their own color: Coty is purple, Elton is green, Deatherage is red, Andrews is yellow amber, Fogleman is brown and Taylor is blue. In order to update this production to work with six actors instead of its typical four, Schaefer reunited with music director Henry McNulty, who also participated in that summer camp as a child. McNulty rearranged some of the vocals and wrote new harmonies. “He’s like a beam of light and is super sophisticated,” Schaefer said. He used the same sentiment when talking about the cast, calling Taylor one of the most pliable performers he’s ever worked with, Andrews a director’s dream who can make blocking look organic, and Elton, the youngest cast member at 15, a major talent and one of the most disciplined performers he’s worked with.